For some of us, we often find the company of our furry friends better than most humans out there. Not everyone shares the same sentiment, as dogs are not always welcome in Sydney establishments. 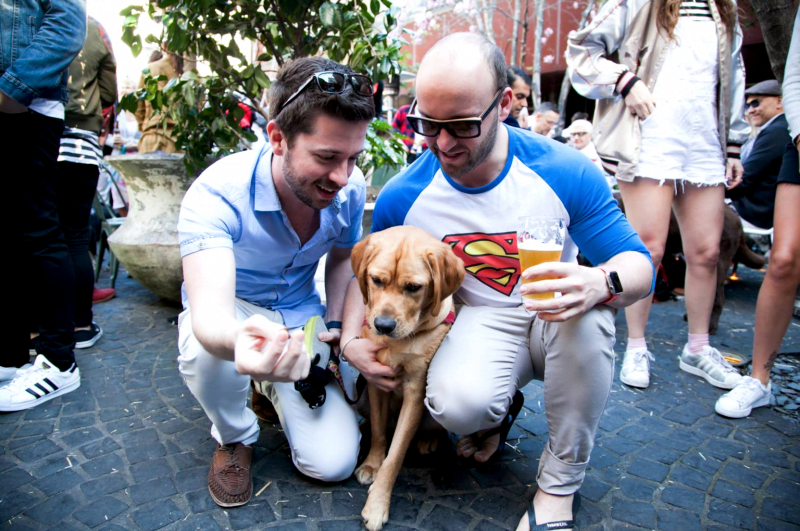 With that in mind, we’ve complied a list of Sydney’s best dog friendly pubs so you can still hang with your four legged friend and be social at the same time. It’s all about pints and pooches in this guide so read on! This pub fancies themselves the ‘best dog friendly pub in Sydney’ and considering the amount of puppy pictures gracing their Instagram, we may be inclined to agree. 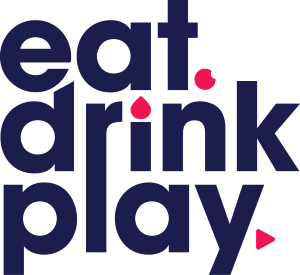 Drop by The London Hotel in Paddington for some pub grub with a modern twist, good banter from the staff and patrons and a cool drink or two for you and pup. The large leafy courtyard at The Beresford in Surry Hills is dog friendly every day of the week. In the past the pub has even opened its doors to everyone who wanted to strut their mutt and throw a doggie fashion show. If you and your doggie are a little more low key, settle down in the courtyard and order up a few beers and some good food. The Sheaf is an Eastern Suburbs institution. What young Eastie hasn’t spent hours of fun here? It only seems appropriate that you introduce the pub to your pup. The Sheaf has in recent years undergone some extensive renovations, revealing a new and improved beer garden that’s open for both humans and dogs to explore. Offering up entertainment most nights of the week, an evening at The Sheaf offers some solid bonding time with your mates and their furry shadows plus some top notch sips and nibbles. The Henson is open to kids of any species, whether they be your human kids or your little furry babies, so this is definitely one of the better dog friendly pubs. With a whole shed dedicated purely for children’s entertainment and doggie bowls at your pups disposal, this is the place for you to sit back and unwind while the dogs can entertain themselves. Sometimes even puppy parents need a couple hours of sanity to themselves. The Henson, 91 Illawarra Rd, Marrickville NSW 2204, 9569 5858, Open Mon – Sat 11am-12am, Sun 11am-10pm. The Norfolk‘s doors are open to everything and everyone, kids and dogs included, making it one of the best dog friendly pubs in Sydney. 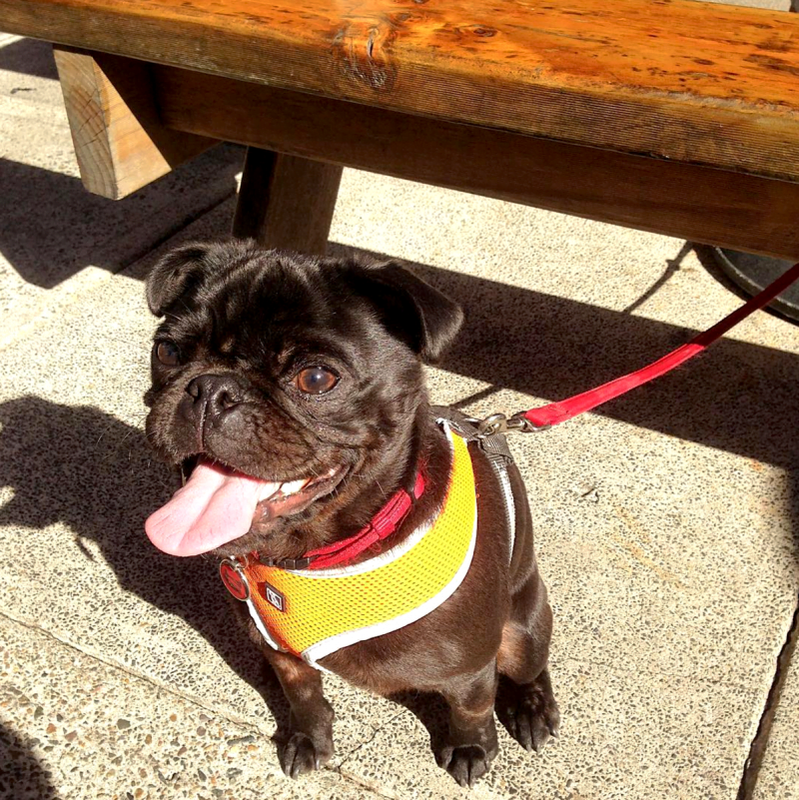 The pub’s shady beer garden at the back is the perfect place for a Sunday session, for both you and your dog. Order up a few snacks and a drink or two and you and your puppy playmate are in for one relaxing afternoon. Let your dog decide where to settle down at The Grand National because they’re allowed anywhere in the front bar as well as outside. So many options! If that wasn’t enough to love, the menu at this local Paddo pub takes the cake. You can’t go wrong with the famous ‘nash burger ($19), though that may leave behind a few big puddles of saliva. Add a schooner or a glass of wine and that’s one enjoyable bonding session with you and your four legged friend. Fear not, the best Sydney dog friendly pubs continue over the bridge as well. And where else but at the beautiful wide open spaces of The Greens in North Sydney, an outdoor mecca for pub and pup lovers alike. 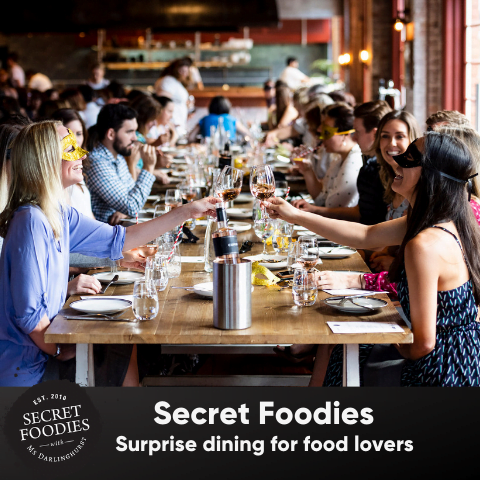 Home to its very own petting zoo on the weekends, this neighbourhood eatery is a pet lovers dream which we think is paw-istively paw-esome! 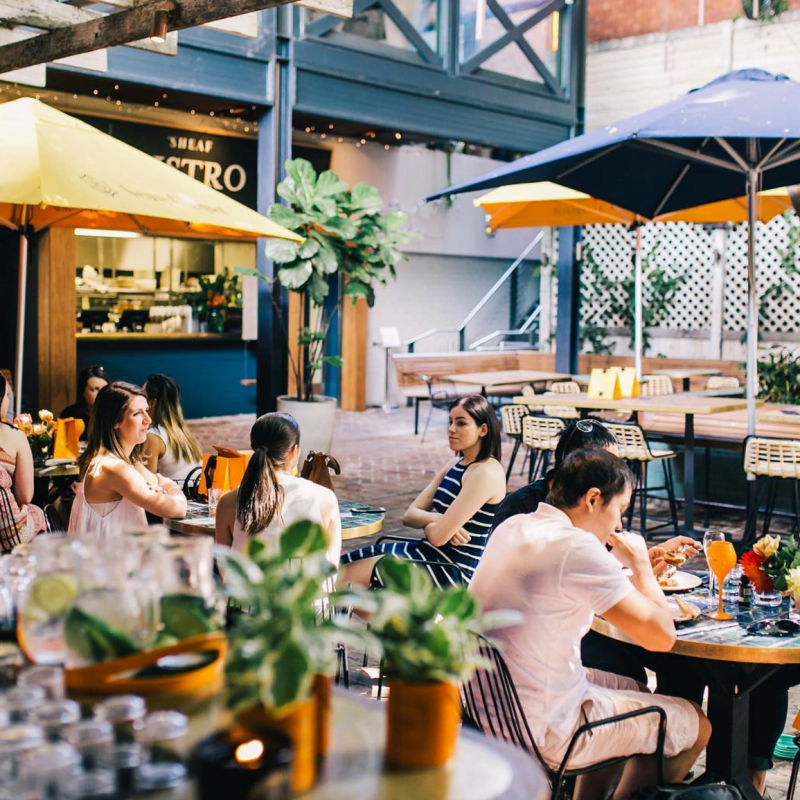 You may have spent some time around the parks of Elizabeth Bay taking your dogs for many a stroll but every once in a while, why not head to the area for an afternoon of cocktails. 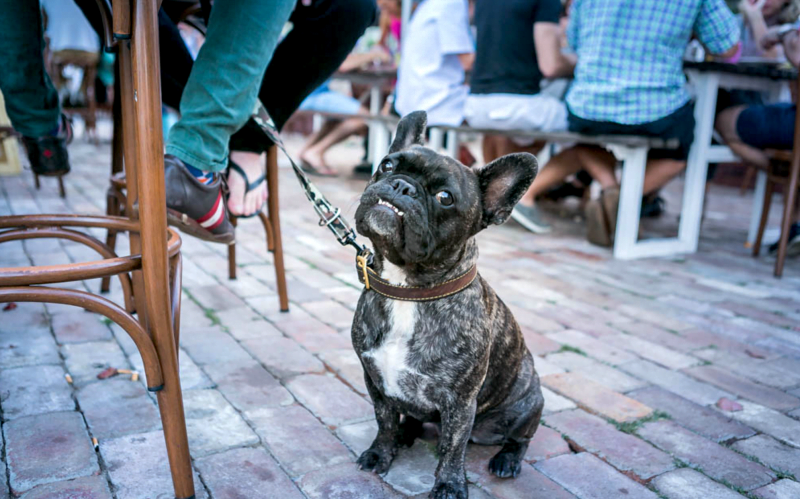 Gazebo in Elizabeth Bay is a charming wine bar with a lovely outdoor area that can cater to both you and your dog. 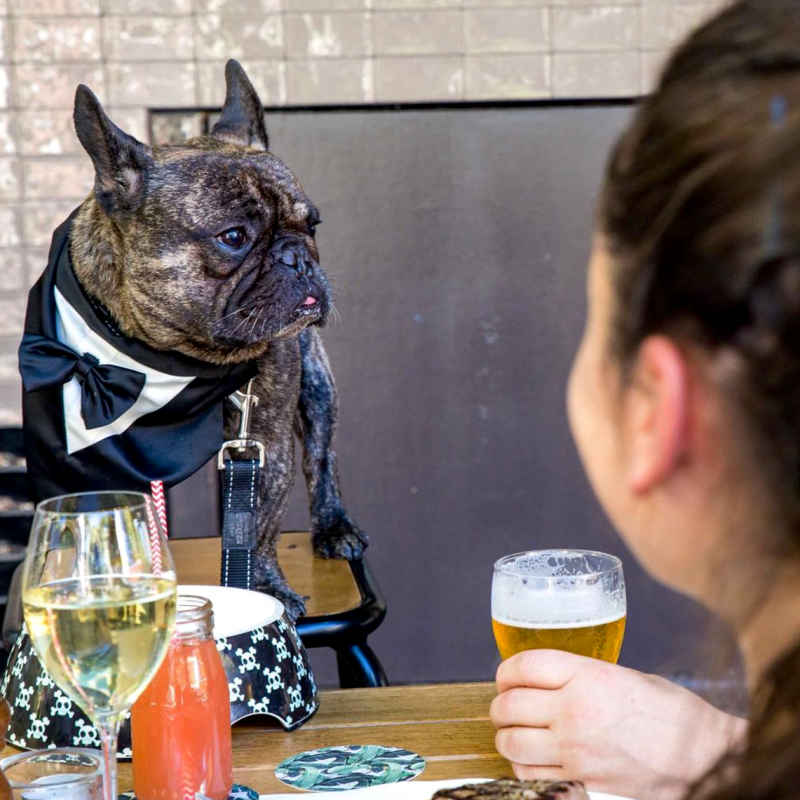 Dogs are allowed everywhere throughout this iconic Surry Hills pub, so you can truly have a doggie dinner date with your pup anytime you please. And no sneaking bits of steak from your own plate either. The Carrington offers a four legged friend menu and lets your dogs indulge in either Steak and veggies ($5) or Beef Tartare ($5). Sydney dog friendly pubs don’t really get much better than that! While dogs aren’t allowed to cavort amongst the waves at Bondi Beach, at The Bucket List, you can give them the next best thing. Furry friends are allowed in the front terrace section of the bar (so long as they’re on a lead), giving you and your four legged buddy the perfect view to enjoy over some fresh prawns and Coronas. While your dog delights in the view and befriends all the other dogs there, you’ll be able to relax and take in that chilled, beach vibe. The Bucket List, Bondi Pavilion, 1 Queen Elizabeth Drive, Sydney NSW 2026, 9365 4122, Open Mon & Tues 11am-5pm, Wed – Sun 11am-12am.